"Riding a horse is not a gentle hobby, to be picked up and laid down like a game of solitaire. It is a grand passion. It seizes a person whole and once it has done so, he/she will have to accept that his life will be radically changed." 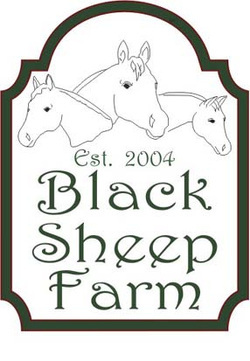 ​Black Sheep Farm, Ltd. is a 501(c) 3 exempt organization that serves the community, special needs and otherwise, with multipurpose, horse assisted education programs. Our philosophy revolves around respect, trust and integrity in our programs and ourselves. We believe that a goo﻿﻿d life foundation allows us to appreciate the differences in life, and, support a broader range of purpose by celebrating our individual differences. Horse assisted education is an extremely effective dynamic. We have programs for team-building, leadership, foster families, challenged teens, breast cancer patients in recovery, marriage enrichment, enhanced school curriculum (Equine Interactive Learning Program) and more. Our signature, annual fundraiser is Bastille Days Greenville. Please contact us for further details on specific programs. We are committed to making a difference in your life by showing you the value of an equine relationship. We look forward to working with you. We appreciate your support and donations. Your donations help us reach further out to the community and touch the future leaders of our world with a positive, long term, life changing message, AND, your donations help us nurture the historic leaders of our past with programs for seniors in memory care units and beyond. Thank you for caring about this community and our collective future. Donations are used for operating expenses, programs, feed & caring of the horses and other necessary expenses. If you would like your donation to have a special designation, kindly notify us at the time of donation. Thank you!! 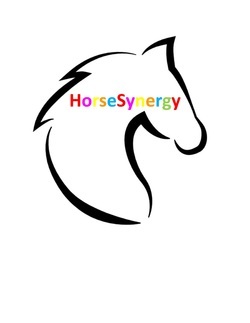 Horsesynergy, offered exclusively by Black Sheep Farm, Ltd. Please see additional information at the Leadership and Team Development tab.